‘Rock Solid Alibi’ will play the final concert in the ‘Rhythm by the Rails’ series at the Essex Steam Train location. 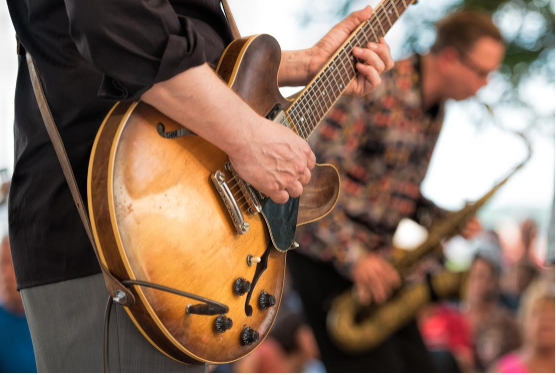 ESSEX — There’s “Rhythm by the Rails” this Wednesday, August 23 at 6:30 p.m., as Essex Steam Train and Riverboat presents their final concert of the summer lawn concert series at the Essex Steam Train. Bring your blanket or lawn chair and cooler and come enjoy the music of Rock Solid Alibi who will play music from the 60s,70s, 80s, and 90s. Admission is free. This event will be held rain or shine. The concert will be moved indoors to River Valley Junction if it rains. Food will be available at the Trackside Café for the duration of the show at 1 Railroad Ave., Essex, CT. Follow signs for parking in main lot.